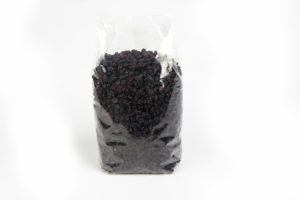 Unlike other origins, there is no official crop estimate for Greek Currants. Our own estimate of the new crop total, is 21,000mt (less 12% retention) = 18,480mt + 6,600mt carry over = total supply at 1.9.15 of 25,080 mt. Harvest will commence within the next 2-3 weeks. Development has generally been acceptable, however, temperatures in recent days have risen above 40C, with the prospect of storms, over the next week. With total demand of less than 18,000mt this would point to a surplus of around 7,000mt by 31.8.16. 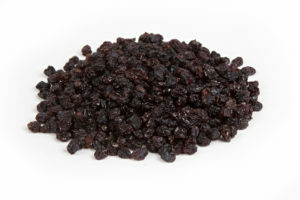 However, in view of the significantly lower price of Currants at this time, compared to Raisins & Sultanas, we are already seeing increased interest in Currants. It is likely, therefore, that for the first time in many years, exports of Greek Currants may increase. Subject to the scale of that increase, we may see a resultant rise in raw material prices. Growers are desperate to secure better prices for their raw material, with prices having halved, during the last two years. The Greek Stock Exchange re-opened, yesterday, immediately falling by almost 25% and closing the day some 16% lower. Value of the main Greek Banks fell by 30%. This was not unexpected following the recent turmoil, however, Greek manufacturing output for July, was the lowest on record. Greece is expected to fall back into recession this year, with the economy predicted to contract by at least 2%. The IMF has made quite clear their concern (and possible reluctance to participate in) a third bailout, without restructuring of total Greek debt. Although Prime Minister Tsipras managed to secure the backing of the Greek Parliament for the implementation of the measures required to secure the third bailout, it remains entirely possible that there may be another election, this year and the situation remains volatile.